One of the most important assets Windows Phone has is the fantastic community that has grown around it. Engaging, enthusiastic, and always fun, this group’s most active members have come to be known as WinPhans (Windows Phone Fans). Among them is what most would agree is the leader of this band of merry WinPhans, Sean Johnson. Sean actually coined the term “WinPhan” very early on in the Windows Phone movement and, without a doubt, lives up to the WinPhan name every day. Sean is also an active participant in the Twitter tradition of #FF, or Follow Friday. It’s a great way to showcase some of the favorite people you follow on Twitter and the community’s embrace of the tradition has been instrumental in the growth of #Hashtastic. One day several months ago Sean emailed me with an idea. He had been very manually creating a collage of “Me” tiles by pinning contacts to his Start screen and taking a screenshot of the collage, then attaching the screenshot to his #FF Tweets as a way to actually show his followers the faces of those #FF receipients. He thought it would be great if #Hashtastic could do that automatically and wondered if I was interested in trying to implement the idea. I immediately jumped at the opportunity, but I also knew I’d need help. Around that time a new app was taking the WinPhan community by storm. 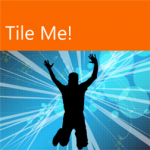 Tile Me!, the brain child of Windows Phone developer Ertay Shashko, became a sensation. Soon, the Twitter Avatars of WinPhans everywhere were becoming “Me” tiles. Ertay’s skillset seemed like a natural fit for what we needed to do and I liked the idea of collaborating with another Windows Phone developer, so I contacted him and explained Sean’s idea. Needless to say, he loved it and we went right to work creating this great new feature for #Hashtastic and the large and growing WinPhan community. Sean’s idea is now a reality. 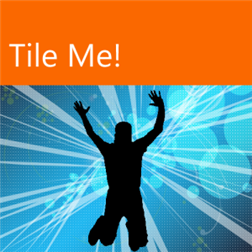 Avatar Gallery powered by Tile Me! is the centerpiece of #Hashtastic 1.7. 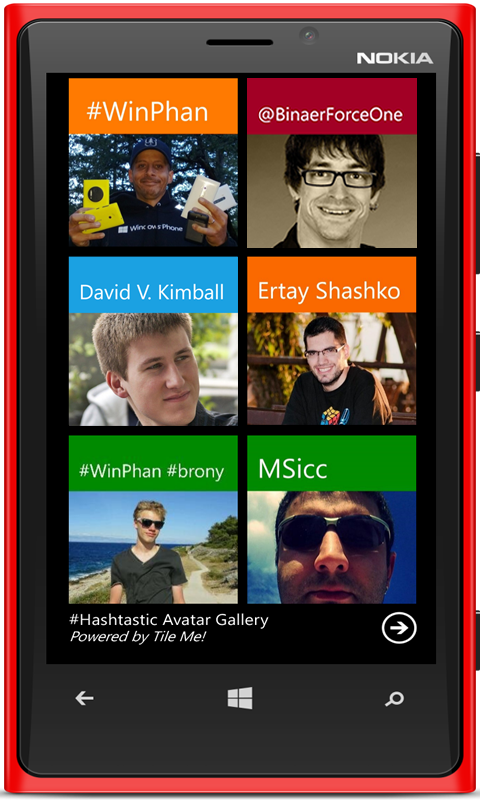 Now, you can show your Tweeps some love and literally show them off too, in true WinPhan style. Here’s to the original #WinPhan, Sean Johnson. Thank you for all you do to promote and evangelize Windows Phone.